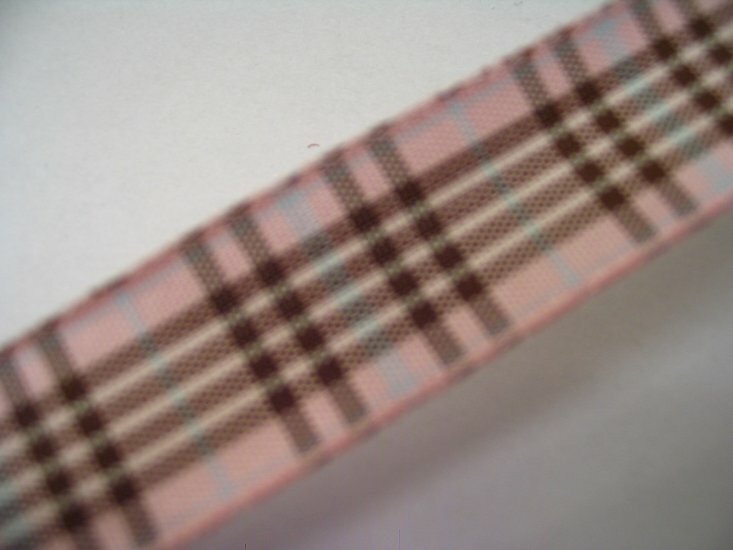 Pink tartan ribbon is a much searched-for product but we appreciate that many customers, perhaps unfamiliar with tartan names, may search for tartan ribbon by colour so please use the links below for tartan ribbon based on Pink shades. This list is not exhaustive so please explore the tartans on the buttons listed to the left, but here are the most obvious suggestions . . . Pink Tartan Ribbon . . . a modern, fashion tartan with no historical credentials but hugely popular due to the dominant pink shades. We're delighted to have supplied countless reels of this tartan ribbon to customers worldwide celebrating Civil Partnerships and Gay Weddings (ceremony names differ from country to country). Used extensively in the fashion industry for detailing on girls' clothing, and popular for baptisms and Christenings. Available in 7mm, 10mm, 16mm and 25mm widths on 20m (22yd) reels and 5m (5½yd) top-up packs with FREE worldwide shipping.